The word “settle” or “settling for love” are words and concepts that makes many of our skin crawl. It connotes concepts like, “give up”, “grow up” and “put up” – ideas that many of us shun as we were raised to expect the best from ourselves and those we surround ourselves with. 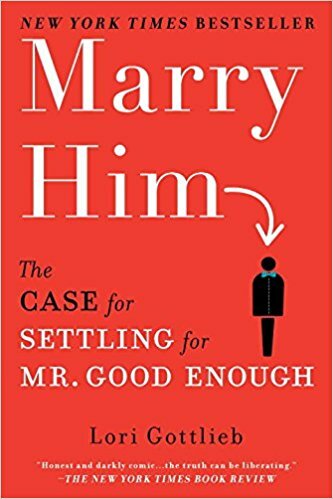 Marry Him, candidly written with a lot of humor by Lori Gottlieb, invites us to take a brutally honest look at how we date, factors that go into choosing our relationship partners and challenges us on our idea of life-long commitment. “How can I marry a man who hasn’t seen the film Casablanca?” laments one of the single women Lori interviews for the book. “Doesn’t this mean he isn’t really romantic? Or perhaps that we are culturally incompatible. “I’d rather be alone than bored,” is another concept challenged by Gottleib. Many women interviewed for the book view boredom as the death knell of any relationship. In their 20s and 30s when their careers are gearing up, they mistakenly believe their relationships with their partners should be equally as exciting and racy. Many overlook concepts such as feeling safe, being vulnerable, feeling you’re understood and seen by someone else. In overlooking basic needs at the expense of their wants, many women find themselves expecting to feel swept away by feelings of passion, fireworks and sparks on a constant regular basis. These are feelings that can’t possibly exist on a constant regular basis because you need to feel the lows in order to appreciate the highs. This is true for anything we work hard to achieve in life. If anything, boredom is a welcome concept in marriage as it implies, at times that you no longer have to work hard to feel attracted to one another and that you get one another’s crazy antics and shtick. Boredom is also super welcome when your high energy kids come into the mix (a concept not addressed by single Mom Lori Gottleib), because how much crazy can two career driven parents really handle? 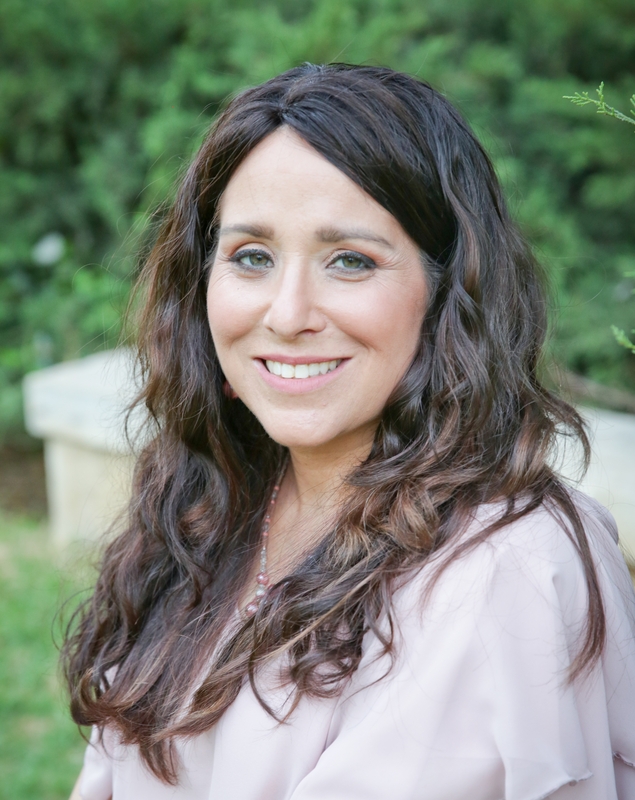 Ms. Gottleib, is herself a journalist and single mother. She candidly admits in the first chapter that she conducted research about what keeps women single as much for herself as any other 40-something woman looking for love. She definitely achieves the job of inviting women to take a hard look and consider the error of their dating approach. While this book makes a strong case to women to look at their dating habits and what may be holding them back, it falls short on exploring how to make those changes. While it alludes to women’s relationship with their parents as something that may be inviting them to make poor partner choices, it glosses over this all too quickly in my opinion. Do You Have to Kill Your Fantasies to Settle and Get Married? Simply by focusing on being OK with a good enough marriage, a term devised by Paul Amato, a sociologist at Penn State, I agree is a good start. This is a term that was borrowed from D. W. Winnicott, father of Object Relations Theory who coined the phrase The Good Enough Mother in the 1930s. Both theories imply that the concept of perfection when it comes to relationships is not useful or helpful. When we expect perfection, people fall apart which causes relationships to fall apart. When it comes to aiming for perfection in marriage, one or both of the individuals breaks down from the pressure, and this is usually a precursor to divorce. Paul Amato in his research looked at why most of the couples split up. He discovered that the cause of divorce wasn’t really because people were expecting perfection, but rather that as they said, “it wasn’t as good as when they first started out.” So they hoped by finding a new partner this would be the solution to their search for true happiness. Lori Gottleib does a good job of keeping things real. She enters places that are raw and painful…those places that no one really wants to explore, but must if they truly believe in the concept of marriage and having a life they can share with someone else.